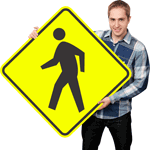 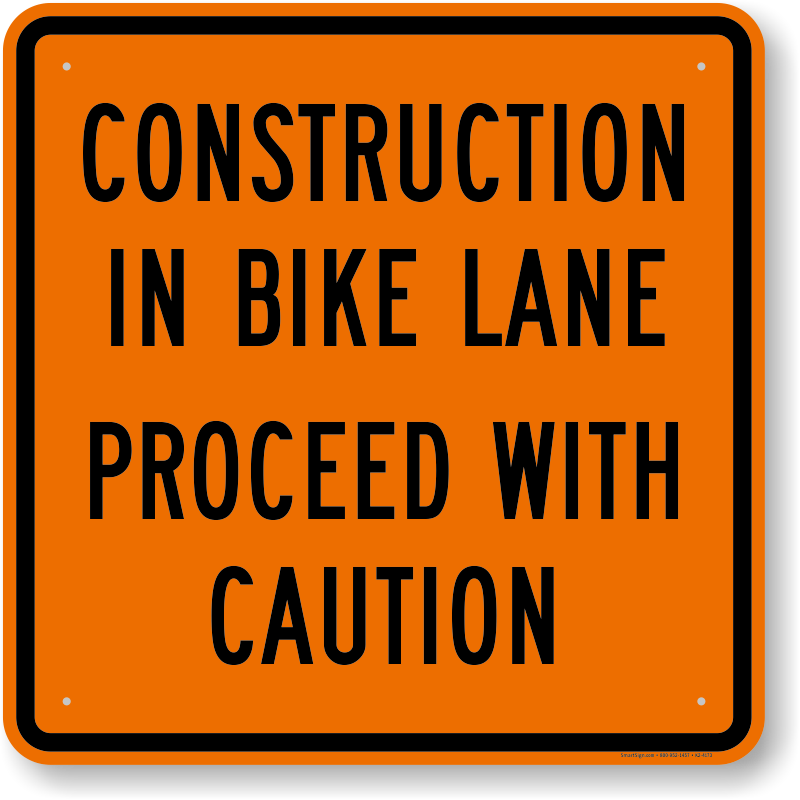 Fluorescent orange reflective signs quickly and conspicuously mark bike detours. 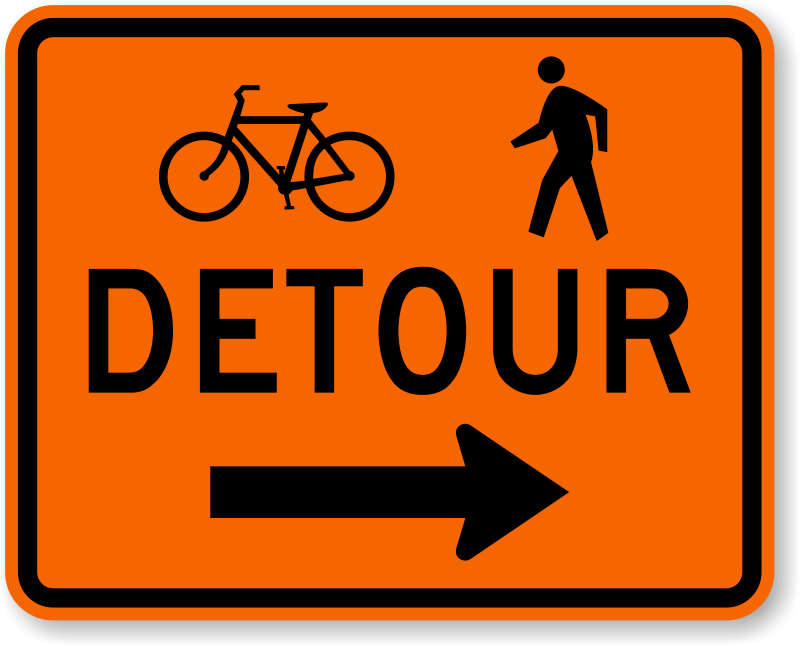 Whether the road is under repair or there is an emergency situation, bicycle detour signs quickly and clearly lead bikers to another route. 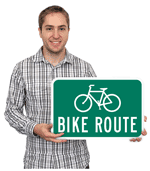 Post our bright bike detour signs to ensure bikers never get lost. 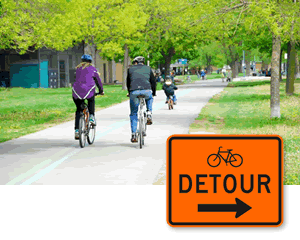 • Bicycle Detour signs point the way and direct cyclists when roads are closed. 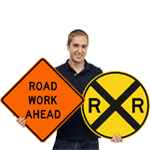 • Fluorescent orange reflective signs ensure that drivers can easily follow detour signs to the correct route. 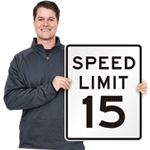 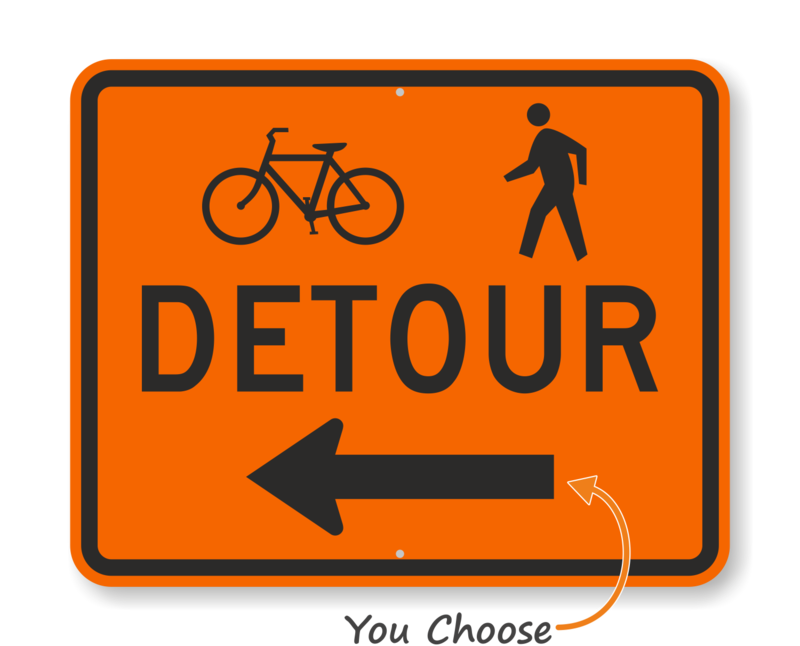 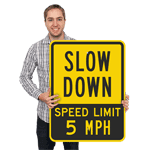 • Click here to see more Detour Signs.